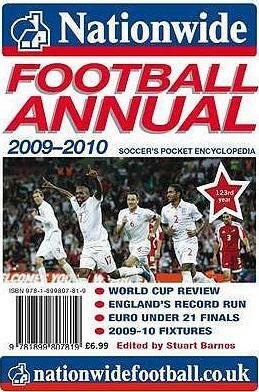 The world's longest-running football annual returns for its 123rd year. As usual the book is packed with information vital for the football fan - from team line-ups to international results, from international appearances and goalscorers to the sort of trivia guaranteed to provide pub quizzes with questions for a century. Included are results from the 2008/09 season, full fixture lists for the 2009/10 season, all major European and world football awards, a day-by-day diary highlighting the season's biggest stories and full squad lists for each and every league club.